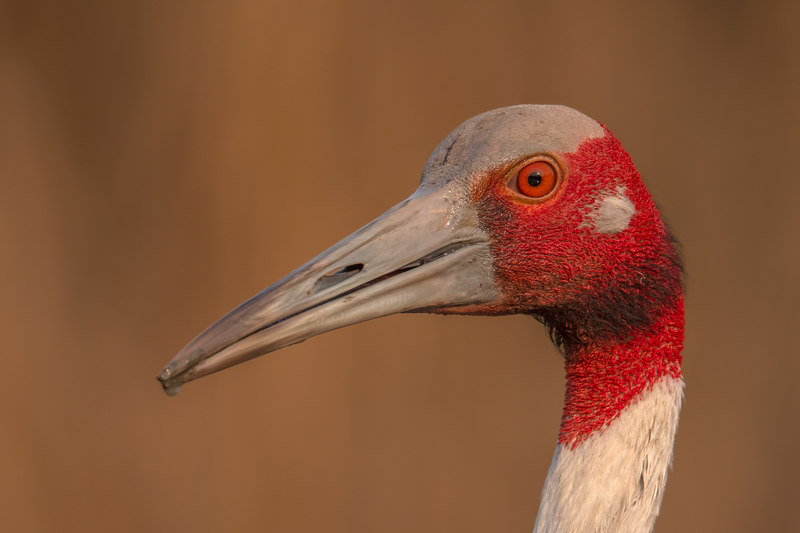 The Sarus Crane is one of the few birds that have benefitted from traditional folklore, in so far as their conservation in India is concerned. Let me explain. The earliest reference to Sarus Cranes in ancient literature goes back to the Ramayana. That narrative describes two large birds that have life-long pair-bonds and has sufficient details to identify them as Sarus Cranes. That early reference and their life-long pair bonds translated into these birds being considered symbols of marital fidelity and they have been traditionally revered in India and have found a prominent place in local culture and folklore – so much so that it is still considered a crime and bad luck to kill Sarus Cranes in most parts of their distribution range in India. These cranes share a close relationship with traditional wet crop farmers all along the Gangetic Plains, who leave them alone and the farmers and the Sarus have been coexisting for centuries. How else can you explain the fact that state of Uttar Pradesh, which has one of the highest human densities for its size, continues to host the largest known, very productive population of Sarus Cranes (which are IUCN classified as Vulnerable) globally. I was struggling to fit the bird in my frame – they are the largest birds of flight in the world and I was sitting about 30 feet away with a 600mm lens – when I decided to add on a teleconverter and try and get a tight portrait.